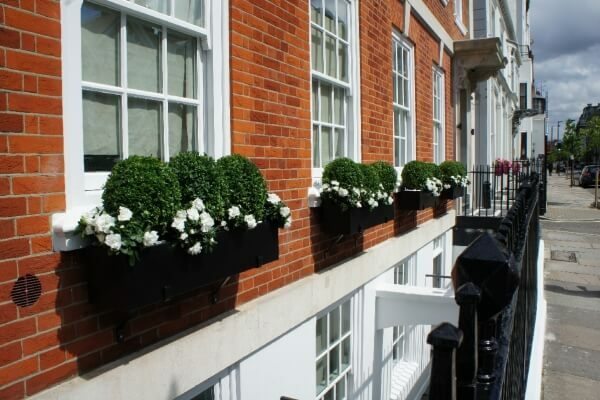 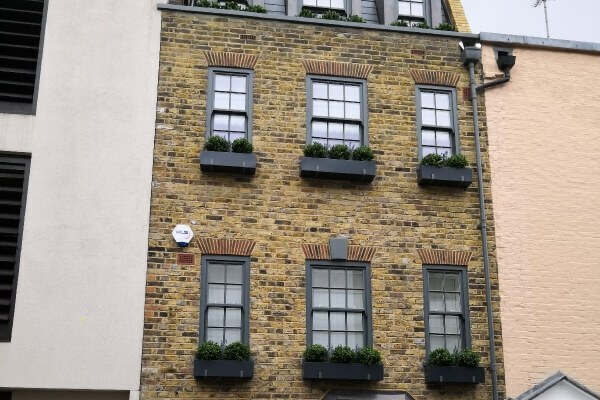 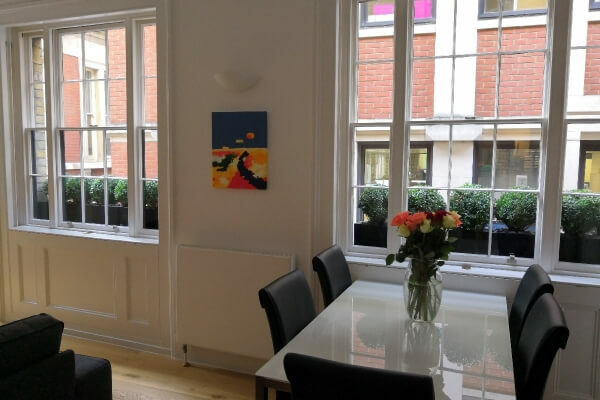 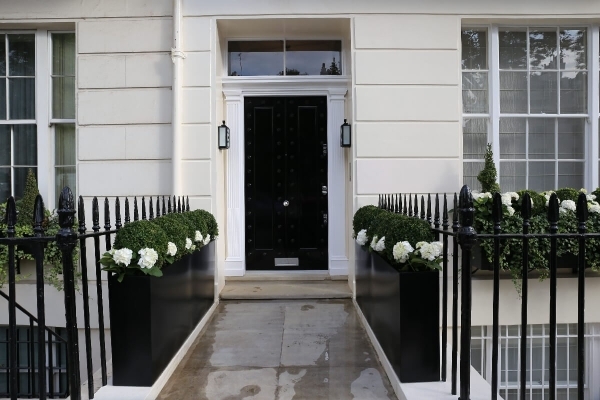 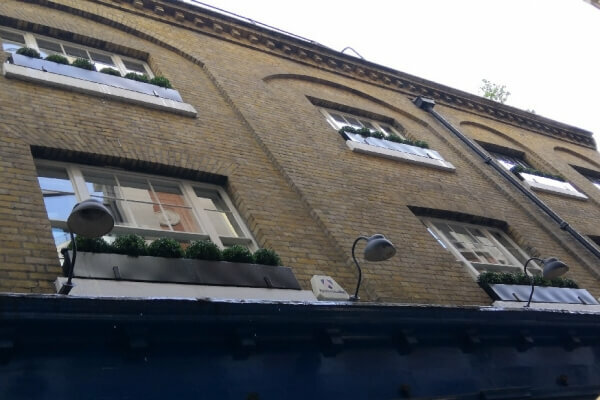 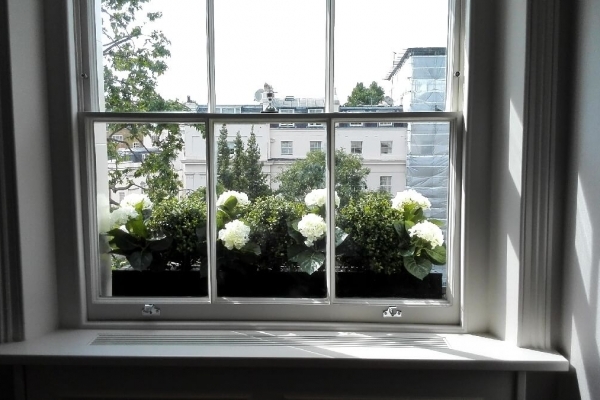 We offer a full range of window box services in London including delivery, installation and maintenance. 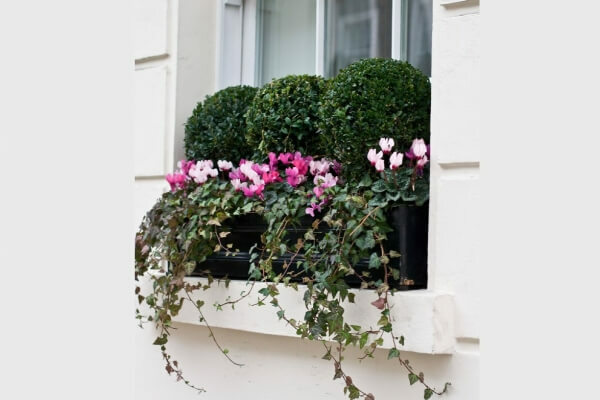 We supply high quality window boxes and create professional window box displays with top quality plants and flowers. 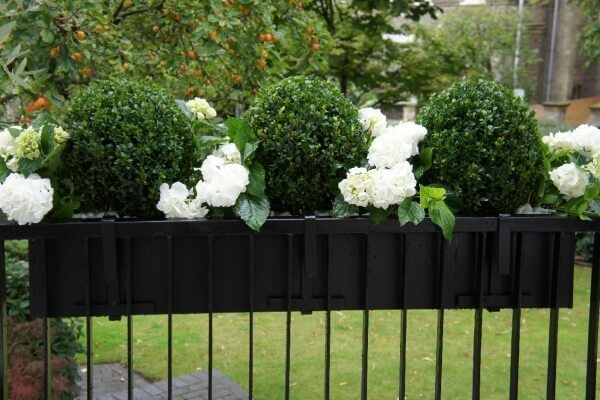 Choose from evergreen plants or seasonal flowers – we will plant them in style. 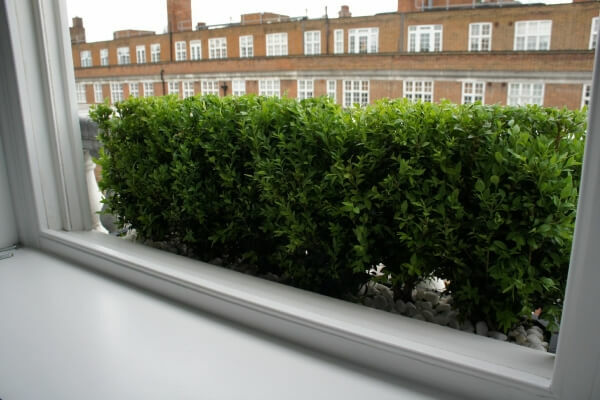 If needed, we custom make special brackets to support the window boxes in you window sill or railings. 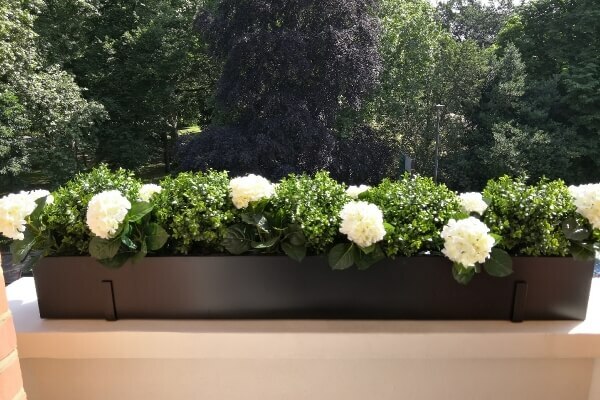 We specialize in custom made metal window boxes. 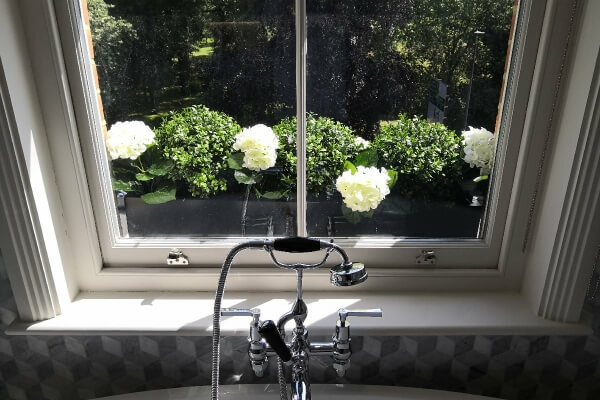 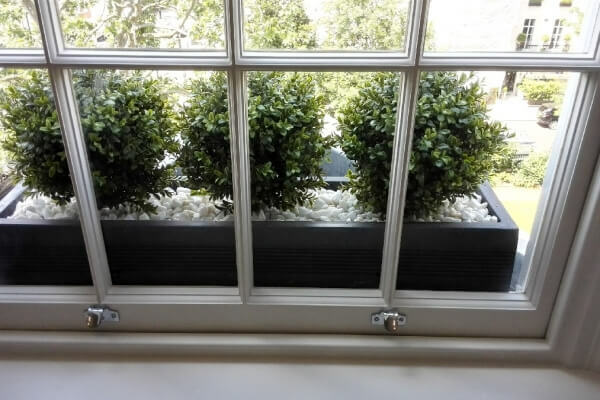 As they are bespoke made, steel window boxes are perfect to fit neatly and use all available space of your window sills. 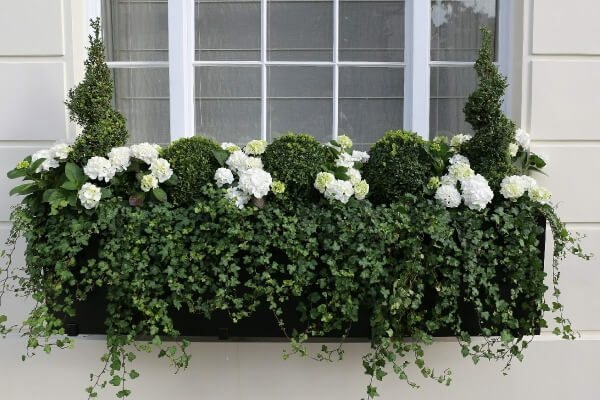 Custom made window boxes can be made of any size and they are ideal for evergreen plants like Buxus which require more space for the roots. 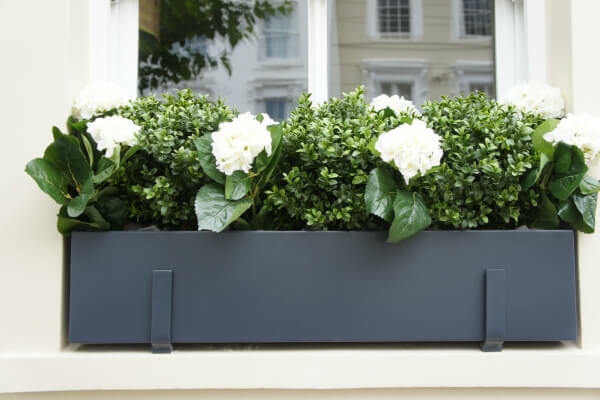 Our metal window boxes are manufactured from high quality galvanised steel and are powder coated to a colour of your choice. 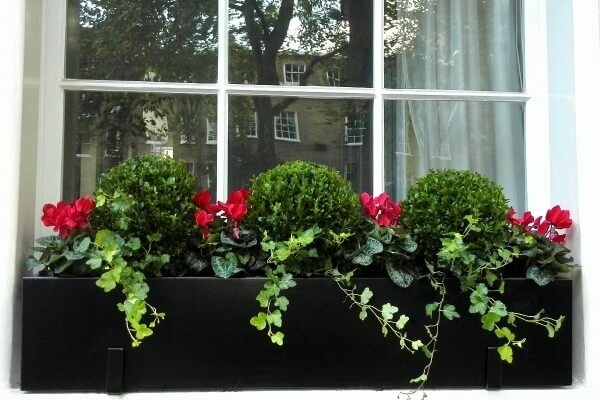 We also provide a regular maintenance for your window boxes throughout the seasons to make sure they are full of colour all year round. 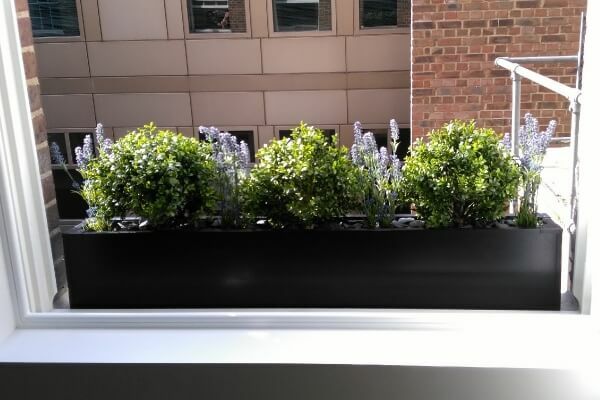 We will change flowers, water and feed the plants for you as well as prune and clean when necessary.